The Economist says we can simply adapt to climate change. We think they are mistaken. Winners selected from among almost 600 entries from 68 countries at the U.N.Forum on Forests. ISTANBUL, Turkey (19 April, 2013) – Five people named “Forest Heroes” at an awards ceremony at the U.N.Forum on Forests (UNFF) in Istanbul take very different approaches in the fight to preserve forests. 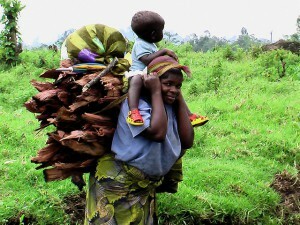 Rose Mukankomeje has dedicated her life to protection and restoration of Rwanda’s forests through a program named Umuganda, ensuring their growth supports livelihoods and the poor. Scientist Ariel Lugo from U.S. commonwealth Puerto Rico oversees a project aimed at preventing violence and promoting healthy childhood development by encouraging young people to plant trees. Preecha Siri has helped enlist a community in Thailand to create a model ecosystem management village by integrating wet terrace fields, rotational farming, beekeeping, native tea and bamboo farming with forest conservation. Turkish businessman Hayrettin Karaca left his successful textiles business to pursue his passion for environmentalism, establishing an arboretum in 1980 that now holds over 14,000 species. He also founded TEMA, one of Turkey’s foremost environmental non-governmental organizations (NGOs), after witnessing the dangers of forest degradation during his travels, earning him the sobriquet “Grandfather Earth”. As chief of the Paiter-Surui tribe in Brazil, Almir Narayamoga Surui has fought to safeguard his tribe and the Amazon Rainforest for more than 20 years — now he’s creating a 50-year plan to oversee conservation efforts, reforestation projects and sustainable economic projects. A panel of judges selected the winners from among almost 600 entries from 68 countries. Jan McAlpine, director of the UNFF secretariat, noted the enormous range and diversity of those nominated and the passion and knowledge that each of them represented. At the awards ceremony, Karaca spoke about the challenges facing environmentalists. Speaking through an interpreter, he urged delegates at the forum to “ensure the survival of what we need to survive”. Karaca warned of the “twin monsters” of economics and politics, which he said threaten conservation efforts, telling conference attendees that a forest should be managed as an ecosystem, not as a collection of trees. “The kind of decisions I had to take I thought were very difficult, but at the same time they were very necessary because I was helping to decide the future of the tribe,” Almir said. Lugo, who has published more than 470 articles, extolled the benefits of urban nature. How much credit can Brazil take for slowing Amazon deforestation -- and how low can it go? Could interactive maps help preserve last roadless areas?